Description: He's been gracing the radio airwaves for over 40-years and is known as Canada's modern day Wolfman Jack! Dianna's Special Guest is Rock "N" Ray Michaels, who was in Wasaga Beach on Saturday, August 20th broadcasting live on Beach BOOSTER Radio as we joined The Classic Hits Radio Network, from The Beach Bar on Historic Main Street at our World Famous Main Beach. This Live Broadcast was sponsored by Beach Booster Media Group and Wasaga Beach Brewing Company with the valued support of Boston Pizza in Wasaga Beach. Rock "N" Ray shares stories of his DJ career and some of his fondest memories. Beach BOOSTER Radio joins the "Classic Hits Radio Network" every weekday from 3 - 6 and every Saturday from 10am - 2pm. BEACH CORNER from Beach BOOSTER Radio is available ON DEMAND, anytime on any device. Please enjoy and share! He's been gracing the radio airwaves for over 40-years and is known as Canada's modern day Wolfman Jack! 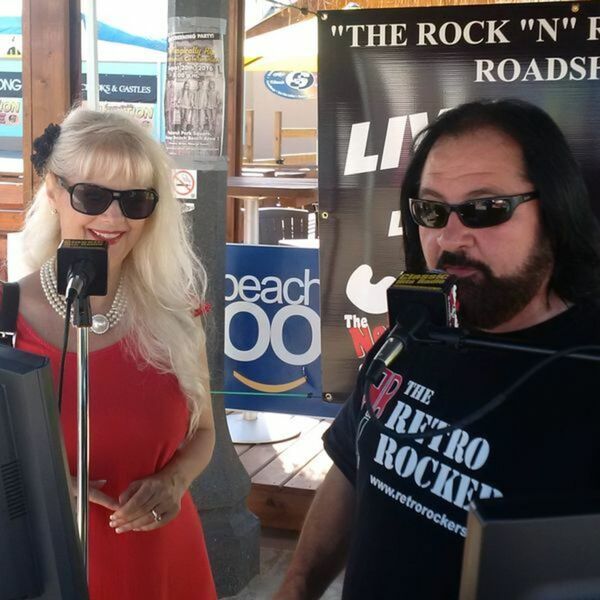 Dianna's Special Guest is Rock "N" Ray Michaels, who was in Wasaga Beach on Saturday, August 20th broadcasting live on Beach BOOSTER Radio as we joined The Classic Hits Radio Network, from The Beach Bar on Historic Main Street at our World Famous Main Beach. This Live Broadcast was sponsored by Beach Booster Media Group and Wasaga Beach Brewing Company with the valued support of Boston Pizza in Wasaga Beach. Rock "N" Ray shares stories of his DJ career and some of his fondest memories. Beach BOOSTER Radio joins the "Classic Hits Radio Network" every weekday from 3 - 6 and every Saturday from 10am - 2pm. BEACH CORNER from Beach BOOSTER Radio is available ON DEMAND, anytime on any device. Please enjoy and share!